Shrouded in a heavy hooded cloak, an elderly breaded man looks down with a deeply furrowed brow. 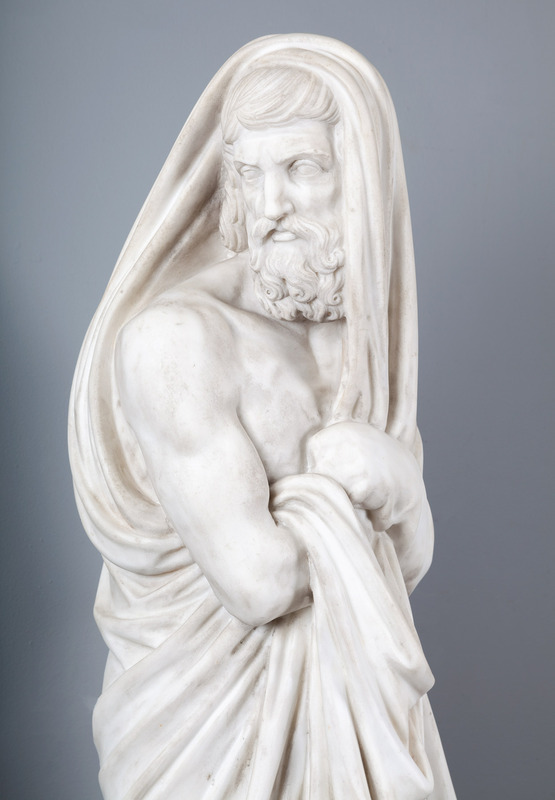 As a personification of winter, the figure gives visual expression to the chilling cold of that season. 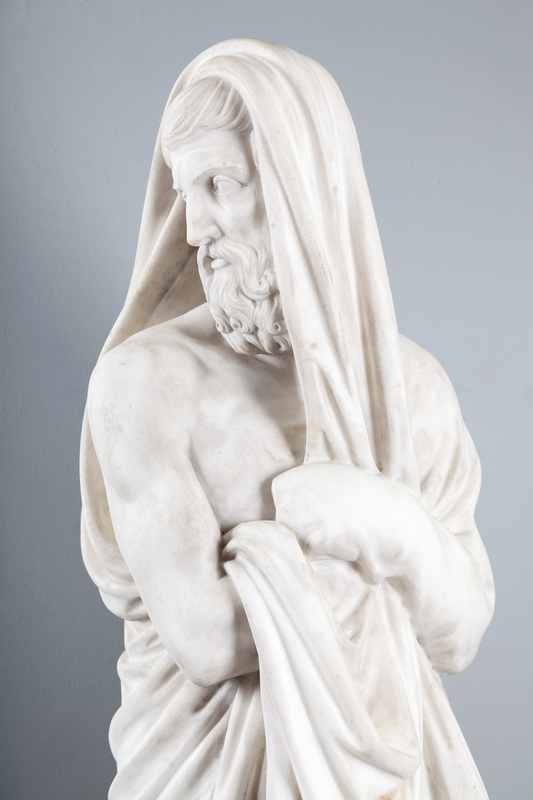 His old age refers to winter’s occurrence at the very end of the calendar year. He is veiled by a fire, represented here by burning logs at his feet. In original untouched country house condition, can be cleaned if preferred. 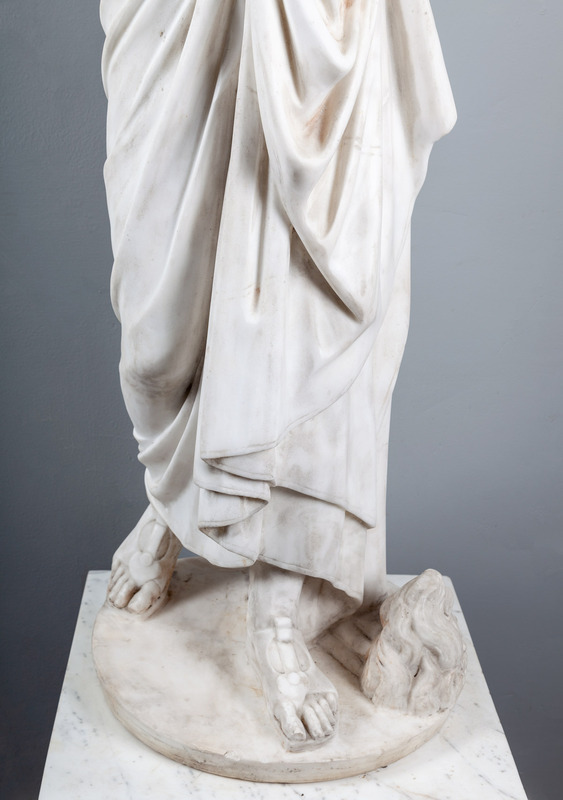 The statue stands on a raised marble pedestal which is included in the price. 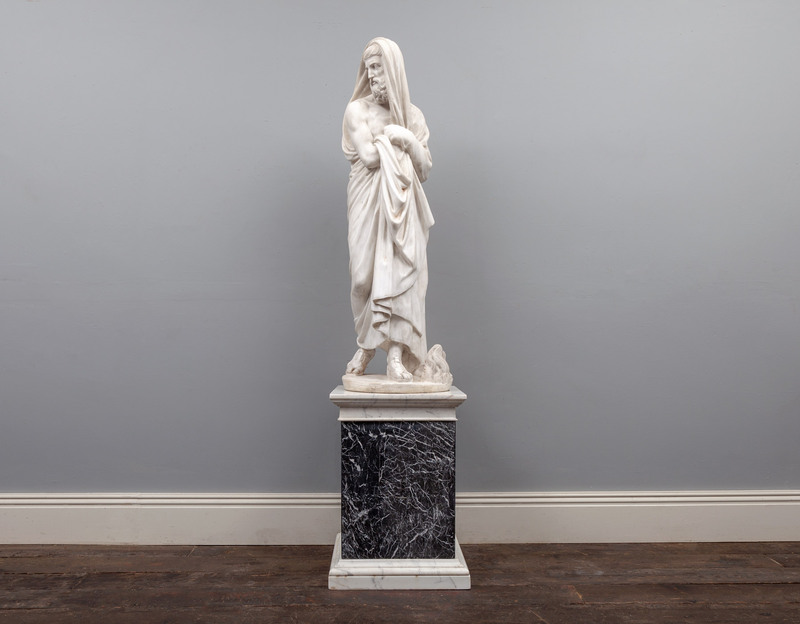 The pedestal has a black and white grand antique marble pillar, with Carrara marble plinth and capital.